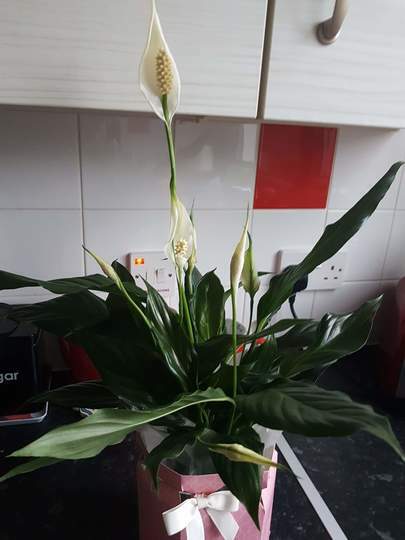 yes it is a peace lily botanical name is Spathiphyllum. all parts are poisonous to cats apparently. Agree. They are suppose to purify the air so I have one in the bedroom. 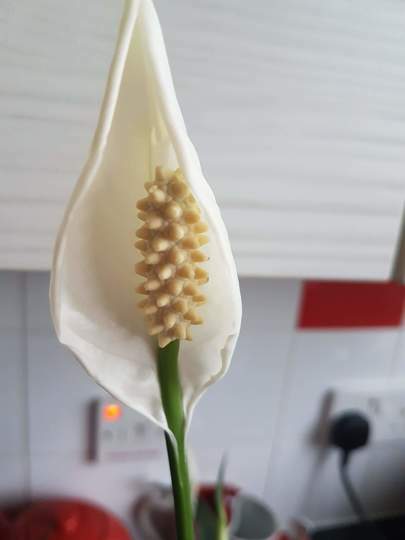 They need lots of light (not sunlight) to flower regularly. i love these plants and have grown them for many years. They are very tolerant and will take some neglect but don't overwater.. If you give them a regular feed they will bloom profusely.